The first written notice is from the year 1113. Zlaté Moravce is one of the seven district towns of the Nitra region. The town is the center of upper Požitavie, which is from ¾ surrounded by the Tribeč and Pohronský Inovec mountain ranges. It is spread on the surface of 45,36 km² on the both banks of the river Žitava at the height from 170 to 714 m above sea level. Zlaté Moravce due to its location belongs among the most warm places of Slovakia with the average temperature about 9,5 ˚ C. According to the number of inhabitants it is a small town. It is composed of the following cadastral territories: Zlaté Moravce, Kňažice, Opatovce nad Žitavou, Prílepy a Hoňovce. It is a one store Baroque-Classicistic building with two annexes. 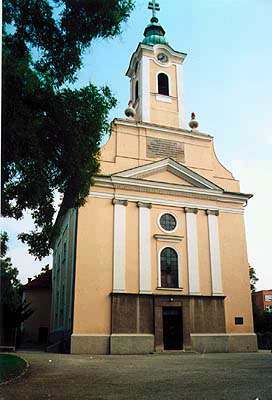 The building was rebuilt by the cardinal Krištof Migazzi – a archbishop of Vienna in 1789. The branch of the Ponitrianske múzeum (museum) with natural sciences and historically archeological sections is placed in the building. 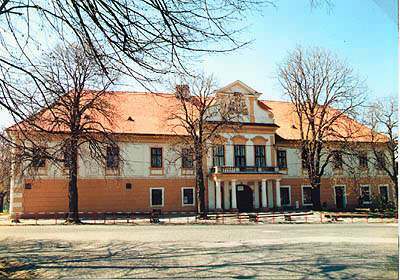 There is a lot of material about the life of a great poet of Štúr’s group Janko Kráľ, who had lived here since 1862 until his death in the year 1876. It serves as a seat of the Municipal cultural center. There is theatrical hall, Municipal library and ceremonial hall. Je to jednoposchodová barokovo-klasicistická budova s dvoma krídlami. Budova bola prestavaná kardinálom Krištofom Migazzim, viedenským arcibiskupom v roku 1789. V budove sa nachádza pobočka Ponitrianskeho múzea s dvoma oddeleniami: prírodovedným a historicko-archeologickým. Je tu sústredený i materiál o živote veľkého štúrovského básnika Janka Kráľa, ktorý tu žil od r. 1862 až do svojej smrti v r. 1876. Sídli tu Mestské kultúrne stredisko, je tu divadelná sála, mestská knižnica a obradná sieň. Na nádvorí je pomník Janka Kráľa postavený v r. 1962 akademickým sochárom Jánom Kulichom. Mausoleum of the family Migazzi. It was built in the year 1887 in a Neo-Romanesque style. The Tekov county administrator Viliam Migazzi had it built for his wife Antónia Marczibányi and himself. There is little park around the mausoleum. It is an exceptional park composition of a specific verdure of cemeteries and urn groves. 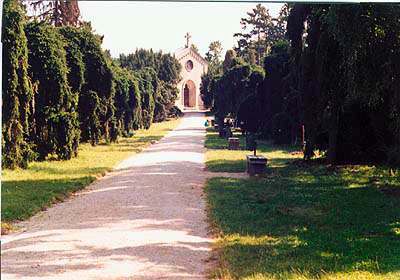 Overhanging kinds of pine trees were planted by Viliam Migazzi between 1887 – 1896 with plants originating from the park Sassouci by Postdam. It belongs among most valuable and by its origin oldest monuments of town. It was built in baroque-classicist style in place of an old gothic church from the 1st middle of the 15th century. It has typical one nave disposition with semicircle presbytery enclosing. It is extended with sacristy from one side and oratorio from the other side. There is a two story brick built choir in the back part of the church. Exterior of the church with built-in tower was rebuilt in late Empire style. The interior is decorated with presently restored precious pictures and paintings.